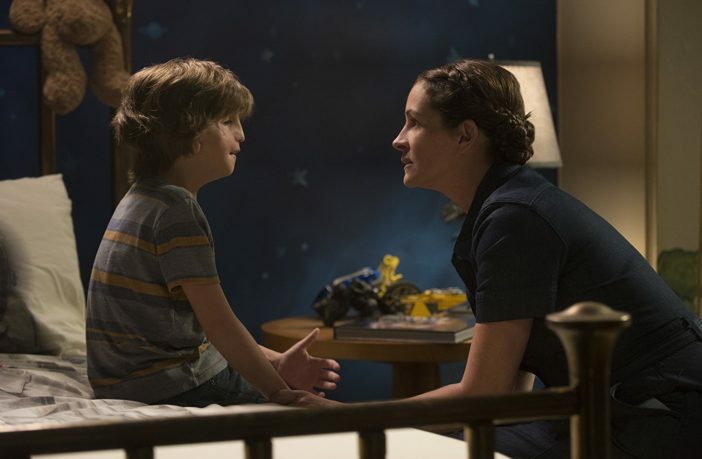 Based on the bestselling novel by R. J. Palacio of the same name, Wonder is about August “Auggie” Pullman (Jacob Tremblay), who is born with Treacher Collins syndrome, a genetic disorder that is characterized by deformities of the ears, eyes, cheekbones and chin, unfortunately leading to further complications with breathing, sight and hearing which require surgery and left him with facial scarring. For the early parts of his education, he was home-schooled by his mother Isabel (Julia Roberts), but he is now enrolled in the fifth grade at a private elementary school, Beecher Prep, for the first time in his life, posing many challenges not only for Auggie, but everyone around him. When given the choice between being right or being kind; choose kind. Without a doubt, this is one of my favourite films of the year. It is utterly fantastic, and I cannot commend it highly enough for its powerful and endearing message to everyone who watches. In Auggie’s homeroom class, which we in Britain would class as being in a form at high school, they have precepts, a general rule intended to regulate behaviour or thought, and one of those are the message that drives the book and resonates through the movie; it reads, “when given the choice between being right or being kind; choose kind”, and it couldn’t be more prefect. Kindness is something that comes few and far between at times, and the film gives you the belief that it does exist, and even the littlest of gestures can make the biggest of differences. The Pullman family enjoy their Christmas holiday’s. Young Jacob Tremblay, who you’ll remember from his brilliant performance in Room alongside Brie Larson, is magical as Auggie. He captures all of the emotion and heart that makes you fall in love with the character. He absolutely shines in this film and will undoubtedly be one to watch in the future. 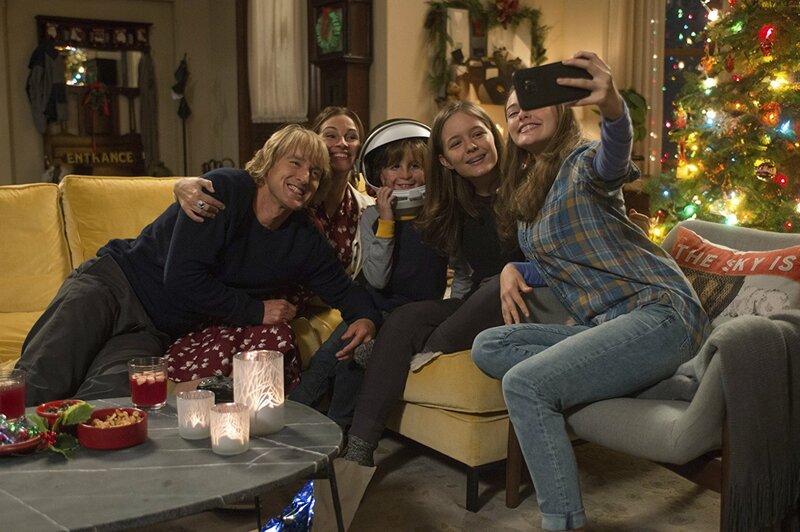 Julia Roberts and Owen Wilson are brilliant as Auggie’s parents, along with Izabela Vidovic as “Via” his sister, and Mandy Patinkin as Mr Tushman (yes, I giggled at that one too! ), the principal of Beecher. Noah Jupe, Millie Davis, Elle McKinnon and Bryce Gheisar all play great parts as children who Auggie becomes associated with in one way or another. Auggie’s teacher, Mr Brown (Daveed Diggs) with one his precepts he sets out at the beginning of each semester. 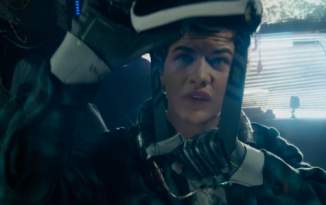 What I admire about the film, is the different dimensions of the story, and how incredibly well balanced they are, allowing you to understand the characters on a personal level. The balance of joy and sadness is perfect. You find yourself alternating between laughter and tearing up, your heartstrings being pulled from pillar to post, and come out falling in love with this incredible story. In the real world, you cannot begin to comprehend what someone with any issue is facing is beginning to go through, let alone when they are a child, and that is something that the film tackles superbly, as everyone in the film is going through something different, and they are all brought together by an amazing young man. An unbelievable tale that everyone should see, because the themes of acceptance, understanding and kindness are unparalleled. The passion and soul that went into this project is evident, and this inspiring story is a film I urge everyone to take the time to see.